Fiji is one of the major island groups in the South Pacific, and while almost everyone in Fiji speaks English, the country's official language, many locals still use the Fijian language. If you're planning to visit the island of Fiji, it's not only polite to familiarize yourself with some common words and phrases in this language, it could also endear you to the already warm and welcoming Fijian people. 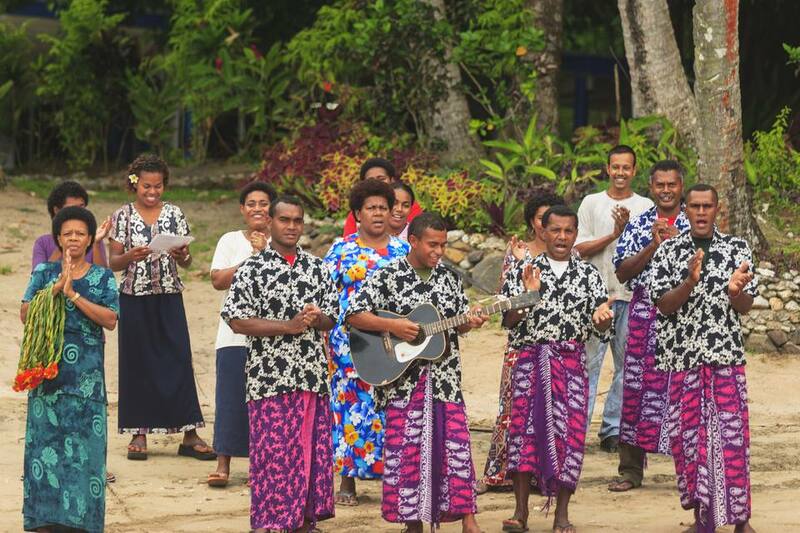 One word you will hear constantly is the infectious "bula" which means "hello" or "welcome." You might also hear "ni sa yadra," which means "good morning" or "ni sa moce," which means "goodbye." Before you can speak this language, though, you'll need to know some basic pronunciation rules. Additionally, any word with a "d" has an unwritten "n" in front of it, so the city Nadi would be pronounced "Nah-ndi." The letter "b" is pronounced as "mb" like in bamboo, especially when it is in the middle of a word, but even with the frequently heard "bula" welcome, there is an almost silent, humming "m" sound. Similarly, in certain words with a "g," there is an unwritten "n" in front of it, so sega ("no") is pronounced "senga," and the letter "c" is pronounced "th," so "moce," meaning goodbye, is pronounced "moe-they." Don't be afraid to try some common words while visiting Fiji, whether you're talking to a tagane (man) or a marama (woman) and saying "ni sa bula" ("hello") or "ni sa moce" ("goodbye"). The Fiji locals are sure to appreciate that you took the time to try to learn their language. What is this? : A cava oqo? If you forget, you can always just ask a local for help. As most islanders speak English, you should have no trouble communicating on your trip—and you might even get the opportunity to learn! Remember to always treat the culture of the islands with respect, including the language and the land, and you should be sure to enjoy your trip to Fiji. What does "Arvo" mean in Aussie? How Do I Speak Like a Kiwi With the Right Accent and Pronunciation?